Make this year the year you discover your best self with a brand-new smile from Nance Orthodontics! Your smile is one of the first things people notice about you, and having crowded, crooked teeth or an overbite can result in a less confident you. 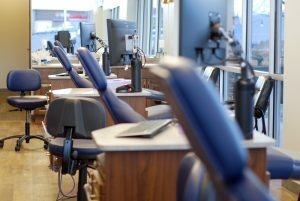 The team of caring professionals at Nance Orthodontics is here to help make your dreams of a beautiful smile come true. 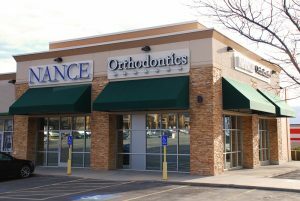 We are the preferred orthodontics center in Eagle Mountain and Herriman, Utah. 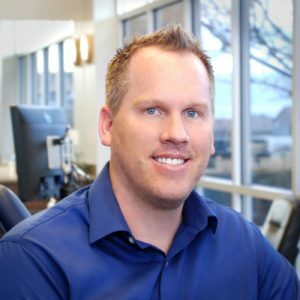 Dr. Brady Nance and his staff of orthodontic specialists will work with your schedule to get you the smile you deserve. While the main benefit of orthodontic treatment is the end result of a beautiful smile, choosing braces or other orthodontic appliances to straighten your teeth and align your bite has many health benefits as well. Patients with jaw alignment or bite issues may find that they experience a decrease in jaw pain and headaches after completing orthodontic treatment, and proper tooth alignment is essential to even wear of teeth, which can help your pearly whites to stay healthy throughout your life. Whether you opt for a metal, plastic or ceramic appliance, the objective of your orthodontic treatment is to slowly move your teeth into a corrected position by applying gentle, constant force in a controlled direction. These aren’t your parent’s braces– no more ugly silver bands wrapping around individual teeth! 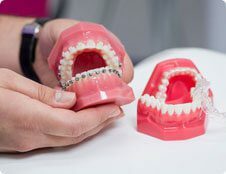 The braces of today are much less noticeable than those in decades past, and can be jazzed up with colored ties for a bit of flair or made practically invisible with clear brackets and dramatically downplayed ties. 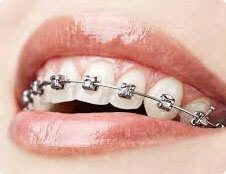 Think of braces as jewelry for your teeth! Not only has the style component of braces improved, but the amount of time it takes to move each tooth to the proper position and complete treatment has decreased since the early days of orthodontics, and the level of discomfort is not as great as it used to be. Now is the time to get braces! How Do I Get Started With My Orthodontic Treatment? It’s easy to get started with a consultation with Dr. Nance and company! We proudly serve Eagle Mountain, Herriman, and the surrounding areas. Call Nance Orthodontics at 801-789-4800 in Eagle Mountain, or 801-997-5729 in Herriman or schedule an appointment online, and make this the year you get the smile you’ve always wanted. Call today to schedule your free orthodontic consultation. 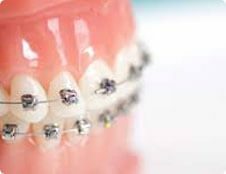 Find out all about the different types of braces that Nance Orthodontics offers for our patients. We are here to help you choose the option that works best for you. Brady has done a fantastic job with my daughter's teeth. He's a great orthodontist! !